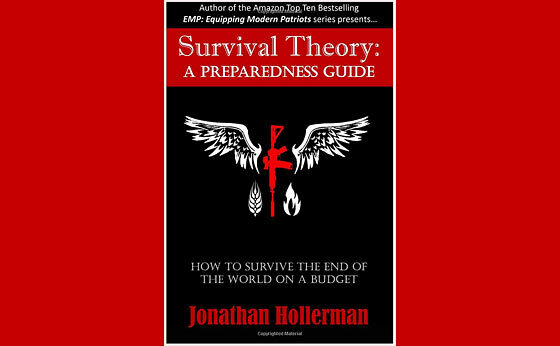 Having recently read the book, Survival Theory: A Preparedness Guide, by Jonathan Hollerman (former SERE Instructor and current ‘grid-down’ consultant), I felt compelled to recommend it for those who are willing to consider the cold hard facts of some of the things you will face and some of the things you will need to consider after a major life-altering ‘worst-case-scenario’ event that brings down the grid. That is not fear mongering; it is the truth. Upon reading the Preface, I was hooked. His words could have just as easily been my own as he provides a glimpse into his core thoughts and basis for the book itself… preparing for a worst-case-scenario. What are you preparing for? Why? Again, his words reflect my own thoughts as he gets into the meat of a cyber-attack that brings down the electrical power grid. The logic of his opinions are backed up by facts and references all of which point towards a nightmare scenario possibility of grid-down for a very long time (months to a year or more). In addition to cyber-attack threats to the grid, there are vulnerabilities such that ‘physical’ attacks could bring it down – as exemplified by the ‘dry run’ in California’s silicon valley during 2013. The chapter focuses on the EMP (electromagnetic pulse) threat against the grid, and he gets into some of the ‘nuts and bolts’ of the cause and effects. While the U.S., Russia, and China have EMP weapons, there are rogue nations such as Iran and N.Korea (who are working on and already have the technology and the ability to hit us with an EMP). Congress put together a commission in 2004 and 2008 “Report of the Commission to Assess the Threat to the Unites States from EMP” which concluded that most Americans would die within a year. Repeat… most Americans would die within a year. While .gov (DHS) has plans to deal with smaller disasters, there is no plan or ability to feed 300+ million following an EMP attack. The chapter emphasizes the ugly scenario that we all be in under such circumstances. How Would a Grid-Down Scenario Affect you Personally? -What happens when the bad guys show up? -What about all the neighbors who weren’t prepared? So the SHTF… What do I do now? Chapter 7 begins ‘Part II’ of the book (the real meat and purpose of the book) which goes on to describe and detail recommendations for preparations thereof and includes many specifics, and the logic and reasoning to back them up. Drawing on his expertise as a former SERE Instructor, his first warning is what NOT to do, and that is the ‘Lone Wolf’ approach. Those who think they can move to the national forest (for example) and ‘live off the land’ and actually pull it off, are fooling themselves. He predicts that 99% of those who try this, will fail. This chapter discusses the important critical things to consider during any bug-out scenario, including the preliminary clues indicating that TEOTWAWKI is underway, some of the do’s and don’t do’s, routes and methods of travel, etc.. He goes on to speak towards a number of critical aspects, rules and guidelines while building a working group within a retreat. A widely discussed topic on prepper websites, the BOB is a personally tailored bag with specific functionality depending on its intended purpose. Discussions and specific recommendations include ‘The Get Home Bag’, ‘The Assault Pack’, ‘The Bug Out Bag’, and ‘The Lone Wolf Pack’. A very controversial subject among preppers, the subject is covered from a long-term SHTF scenario point of view and long-term reliability. He draws on his years of training and work with Special Operations individuals to bring sound recommendations and/or considerations to one’s choices for firearms. This chapter points out how tactical gear has changed dramatically in the last decade. The emphasis however is on quality (there’s lots of junk out there). Discussions include IWB and OWB holsters, the ‘tactical belt’, ‘tactical vest’, plate carriers and ballistic plates, clothing, and specific recommendations thereof. The stunning reality is that the amount of food that you’ll need from ‘your garden’ (for example) is just that…stunning. To successfully grow the amount of food (calories) and to preserve enough until next harvest is MUCH more than most people think. The chapter gets into the specifics of what you will need to realistically consider in this regard to feed your family/retreat. Chickens, Rabbits, and Goats, Oh My! Did you know that the average chicken lays around 225 eggs a year? At 70 calories per egg that’s about 16,000 calories per hen. Being a consultant himself (GridDownConsulting.com), Jonathan gets into some detail and realities about the ‘survival retreat’, the misconceptions, the false notions, and the cold hard truth about surviving long-term following a worst-case scenario of Grid-Down. Note: I am not being paid for this review/highlight of Jonathan’s book. I rarely do this type of write-up, however I felt compelled to do so as I found myself agreeing with much of what he had to say – as though my own thoughts were echoed throughout. When you honestly and truthfully hypothesize a worst-case-scenario of grid-down, even for ‘only’ a few months, the hard cold reality hits home when ‘the bullet hits the bone’ so to speak – when you really truly put yourself in those shoes. It’s a subject that is largely underestimated by the prepper community itself in my opinion. While ordinary preparations and preparedness for ‘ordinary’ short-term disaster is definitely THE first step (Preparedness 101), when you reach for higher levels…it is an entirely new thing when preparing for the long-term. Along with many other books in the preparedness realm, I do recommend this one as well. I couldn’t possibly agree more! I Downloaded it to my Kindle after reading his other 2 books,and haven’t read it yet. I’m glad you gave it a positive review. I read other Survival books that were just down rite awful. How were his other 2 books? The character and events were very well developed and believable. Just wish I had the ability to build bug out home that was described in the book. I will put his other books on my list. Survival Theory is very informative and interesting. It really makes me look at our preps and what else I need to prepare for. I’m 2/3 through it and in some ways I feel very under prepared. Rabbits gestate in 31 days and can be harvested after 12 weeks but they eat a lot. Finding the feed or cultivating the feed is a major task. We cut, dried and put up wild hay last year for our buck, 2 does and the last litter. We thought we mowed down enough, spent days on it, but didn’t make it half way through the winter. Chickens need feed and if you let them roam loose other critters will eat them. There is not much forage for them in winter. Raising small livestock without access to manufactured feed will be daunting. Rather than read a book about “how to survive long term” I actually did a long term survival exercise to see how it would work out in my location. I immediately stopped using anything of my preps or anything (yes, anything) that would not have been available to a person prior to the year 1875. My main survival tool was my knowledge base and my stomach. I learned that without my extensive hunting skills a person will NOT survive. Avoiding other people was nearly impossible (and yet I own a large ranch for isolation), a true danger. Keeping safe body hygiene is almost impossible. Keeping a fire going for food preparation and sterilization of water is a full time job. This is just a few things of a long list that I learned about survival. Trying to survive alone is not possible. Skin infections, food poisoning, and liquid stools are a continuous problem. Well, so much for my learning curve. You just need to try it yourself to understand. Have a good week-end all. @no joke: Great comment, but no one will test the waters as you have. But I can honestly say that I did and had the same problems as yourself. You did not fail, you just need to keep trying. The grit is to go at it again and again until your system can handle it. Took a lot of guts to do what you did and my hat is off to you. God bless and keep trying. Reminds me of the HBO Deadwood series. I put those in my cart. They look like good books. I have no money left this month, so maybe next month I will be able to order them. I wouldn’t recommend city people running to the wilds to survive either. I already live in the forest and don’t want to bury them. I am still putting my skills to use in what this book is warning about after shtf. Already ate wild food this spring–birch leaf salad, wild violets, morels, dandelion leaves, flower petals and root, and going to have me some fresh fish tomorrow and find some cattail sprouts while I am at it. Cattail sprouts! I can’t find anyone who personally knows about this or eating any part of the cattails. I cut the stem down to the root, peel the outside shaft, and eat the white inner part. It tastes like cucumber. Great for snacks and salads. I took my daughter fishing last year, plucked a stem I peeled and started eating it. You should have seen her expression. “Mom, what are you doing? !” I told her I was having lunch, then plucked one for her. She was amazed at the flavor and went back south and showed her fishing buddies who also wondered what she was doing. They in turn, posted on FB eating cattails. Try basswood leaves also. Also nettles are excellent. Might be worth considering a vegetarian diet. It looks like chickens need at least a pound of grain per bird, per week. Do the math on that; it might be easier and more efficient to just eat the grain. Apparently Denmark suffered a naval blockade during WW2. The Danes went vegetarian unwillingly. Mortality of all causes dropped significantly during that time. Not proselytizing on lifestyle choices, but wondering if others have considered it. We are not vegetarians at this point in time. When we have a meal now we will have a chicken breast or a big slice of ham or a steak or burger patty. In a hard times scenario we would eat meat in reduced fashion such as an entree of fried rice with small bits of chicken in it or beans with small ham bits in it. We would probably get 3 meals out of a chicken breast. At this time we don’t raise animals on our place and not sure that we would. We have abundant deer, as well as elk, and bear. The wild populations would be reduced in a hard times situation. We do can a lot of beef, chicken and pork for the pantry. Chickens eat just about anything. I once had free range chickens in the day and locked them in their fenced coop at night, with a German Shepherd and beagle on watch. In the winter they ate cooked fish heads, staghorn sumac seeds, diced orange peels, rose hip seeds, weed seeds, berry seeds discarded from making jellies, diced potato peelings, old corm tassels, and wild grasses, left over fat, stale bread, left over dog food the dogs left behind, things I wouldn’t eat. They managed to eat a lot of bugs in the summer with these scraps we gave them. I never bought feed just for them, but then the farm I lived at was surrounded by overgrown weeds and grasses for seed which attracted many insects, not a dirt lot and short mowed grass. I’m about 2/3rds into his book and it is very interesting and informative. I’m making some notes and plan on going back through them to do some research, etc when I’m done. The point is well stated and taken, veggies, are a nice ADDITION to a meal but so many people prepping some how equate a can, container, or serving of any veggie with the same volume of nutrition as a meat dish. Please look at the label of most small cans of any veggie, 70 to 90 calories per can so doing the math lets assume 2000 Calories per-day at the bottom end of the scale. You would have to consume about 20 cans per day……to get close to 2000 Calories per day. Having a large pantry filled with veggies and fruits may give you a warm fuzzy, but that is not going to keep your body up and running. My hope for all is that we get common sense into the prepping mix otherwise when an event hits we are going to be in a cluster mix of the largest order. Going meatless means you have to consume beans, legumes and nuts for proteins as a substitute. A can of refried beans has 440 calories and it is a vegetable. One cup of dry Split peas contains 671 calories and it is a vegatable. One cup of peanuts contains 828 calories. Yeah, I did that, “went meatless” in 1989; my kids since birth. (They are both grown now, strong, bright and healthy) So that’s about all that is in my pantry. Keeps things simple and much less expensive to maintain. Personal beliefs and opinions aside, it seems like it could be a more pragmatic option in a SHTF situation, especially with city dwellers who don’t have the option to go out and hunt for dinner. I consider meat as pre-digested, concentated, vegatables. The plant matter that is “pre-digested” is, in many cases, vegetation that is inedible for humans, thus being rendered safe for us, by the process. I am reading the author’s first book atm. I took away a renewed sense of determination after reading the sewage back up issue. I need to address this situation, and will do some research.